Click on your "Profile Picture" in the top right and then click "Account settings" in revealed menu. In the left pane, switch to "API access" section. 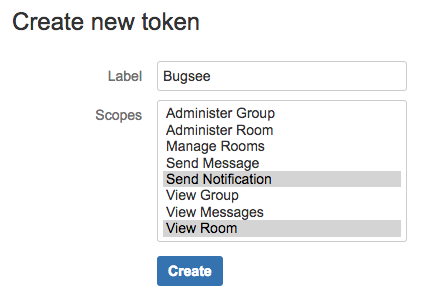 Give your new token an unique name and select Send Notification and View Room scopes. Click "Create" to generate new token. Don't forget to copy it. Paste generated token and click "Next". 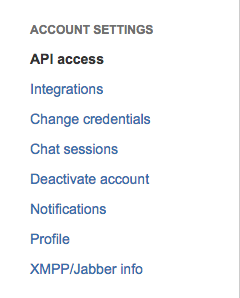 There are no any specific configuration steps for HipChat. Refer to configuration section for description about generic steps.